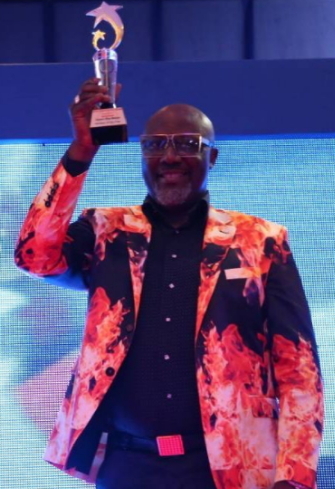 Ajekun Iya man, Dino Melaye collected his award by fire by force today in Abuja. 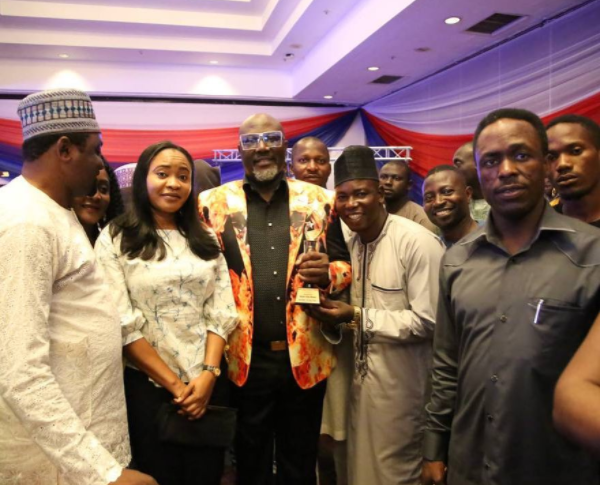 The award event organized by the Senate Press Corps Awards which the Nigerian Union of Journalists declared illegal held by force in Melaye favour. 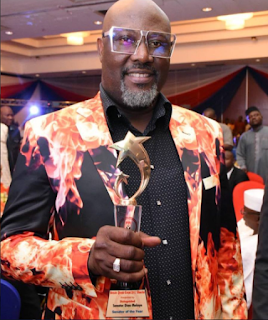 According to NUJ sources, the controversial senator representing Kogi was seen collecting the illegal award which he allegedly paid for in a desperate bid to redeem his battered image. 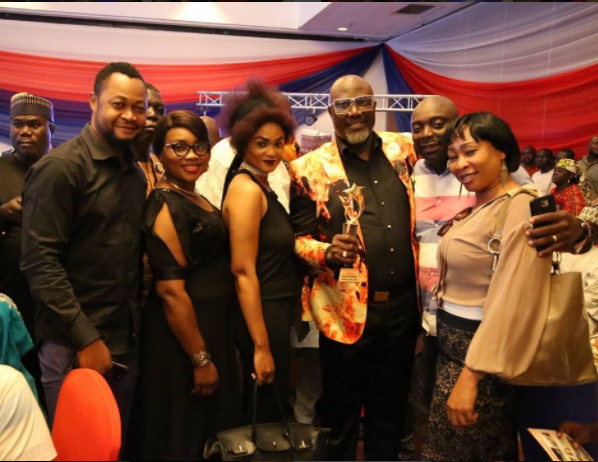 Some yeye journalists and celebrities who went home with fully loaded brown envelopes (Eguje) were seen posing with Senator Ajekun Iya in a series of images uploaded on the social media today.  If the oga can buy about 20 luxury cars in 5 years why e no go get ‘chicken change’ to purchase awards.